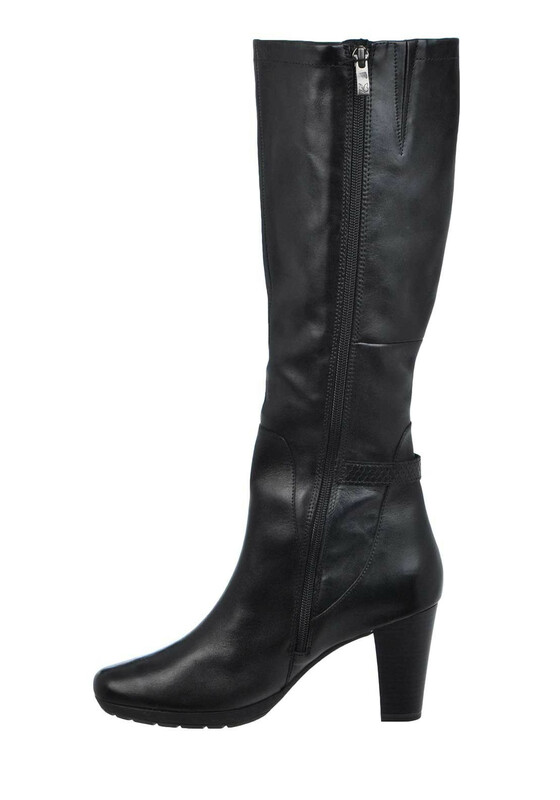 PLEASE NOTE THESE BOOTS HAVE AN EXTRA SMALL CALF FIT These long leather heeled ankle boots by Caprice are so dressy and are a must have this season. 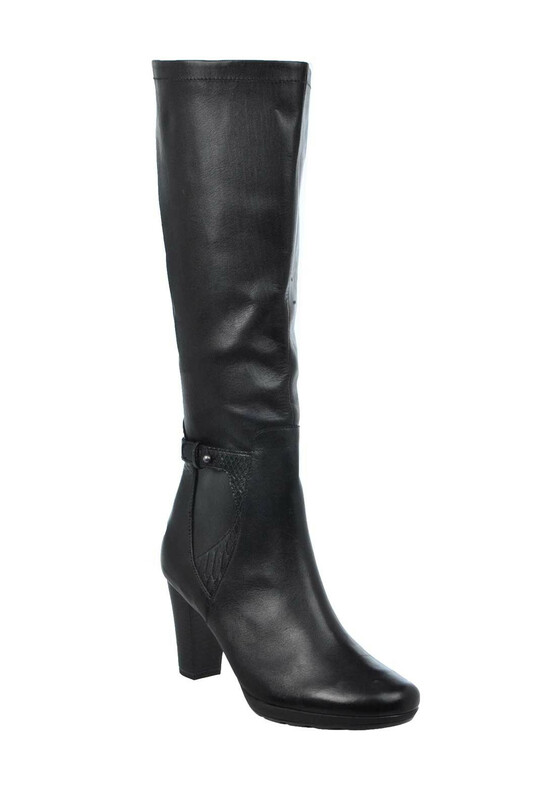 These long leather heeled ankle boots by Caprice are so dressy and are a must have this season. Presented in black with reptile panelling on the ankle, a tapered chunky block heel and round toe. They have a side zip fastening, elasticated gusset, Caprice branding and a comfortable walking on air insole for all day comfort.